David McCarthy with a young customer. 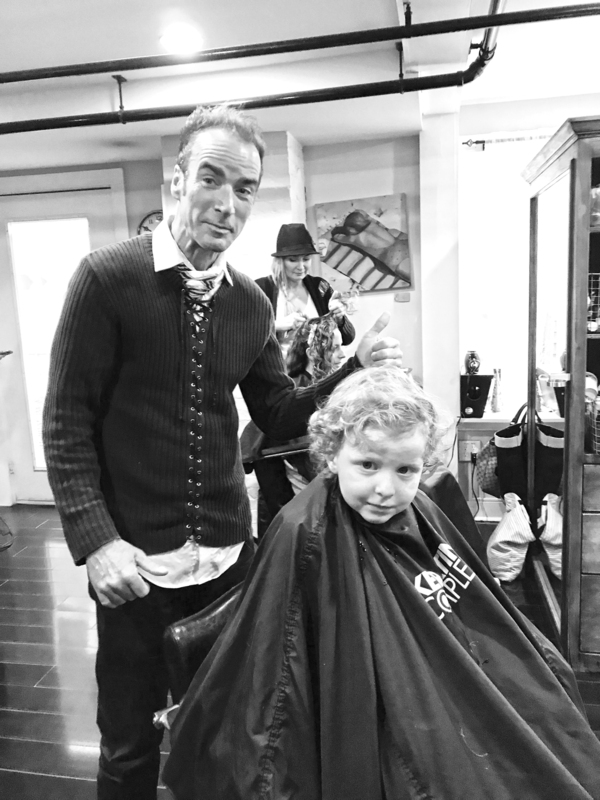 Island hairstylist David McCarthy has returned to Martha’s Vineyard to make Sea Spa Salon his new salon location. According to a press release, McCarthy has spent the past few years off-Island to care for his elderly mother. Upon her passing, he has returned to the Vineyard to make the Vineyard his home once again. David brings his skill and experience, gathered over a span of more than 30 years, to Sea Spa Salon, located at 17 Winter St. in Edgartown and open year-round. Sea Spa Salon is a full-service salon offering everything from nail services to spa services, to salon services.